There are a few things you need to know in order to properly configure the Jands Vista CONSOLE for it to work properly with ESP Vision. If you are using the offline editor, see other post that addresses the offline editor. 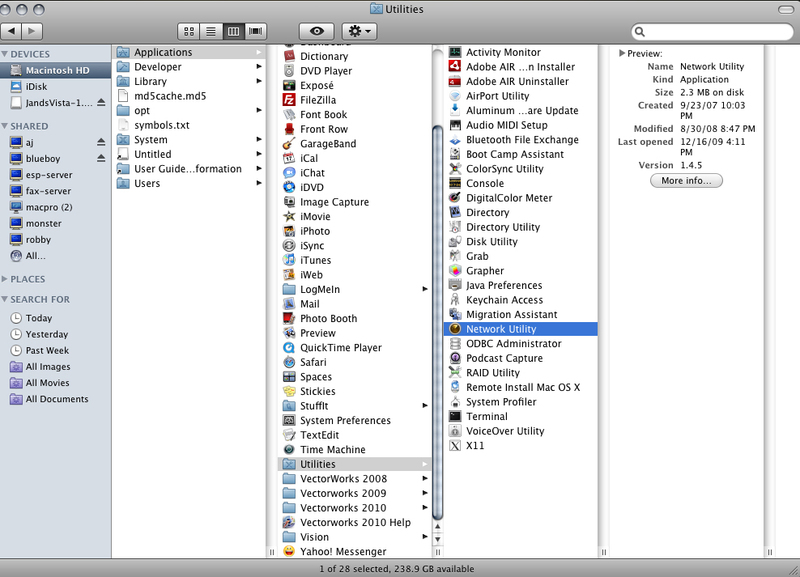 Disable all firewalls and security software on the Vision computer. Let's verify that the Vision computer can "see" the console. 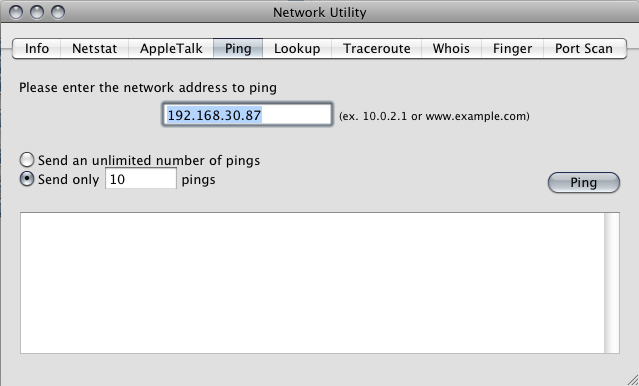 Open the Finder, find and double-click on the Network Utilities on the Vision MAC, as shown here. 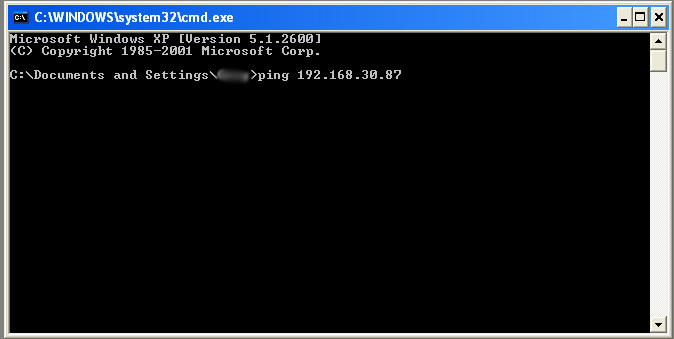 If the connection is not valid, you will get a response such as the one displayed here. If you get this second response, the console and Vision computer are NOT communicating with each other. Check that the Ethernet cables are properly plugged into the computers and/or hub. Also, consider that you may have a bad cable. Once you are sure the physical connection is good, go back up to CONFIGURE THE NETWORK above, and verify your settings, then retest. Remember, firewalls will block this connection, and Vision and Vista cannot communicate without a valid network environment. Double click on the Security icon, and select the Firewall tab. Make sure that the firewall is OFF. Once you get a valid response on the Vision MAC, we are assured of proper two-way communication between the machines. If one of your machines is a PC, continue to the next step. 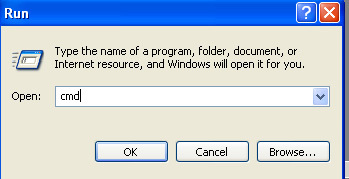 Otherwise, you are ready to move forward to VERIFY VISTA SOFTWARE VERSIONsection below. If you get this second response, the two computers are NOT communicating with each other. Check that the Ethernet cables are properly plugged into the computers and/or hub. Also, consider that you may have a bad cable. 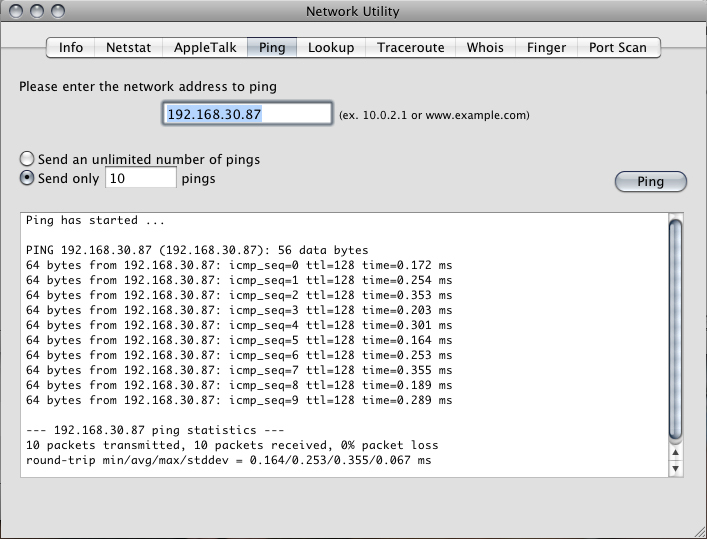 Once you are sure the physical connection is good, go back up to CONFIGURE THE NETWORK above, and verify your settings, then retest. Remember, firewalls will block this connection, and Vision and Vista cannot communicate without a valid network environment. 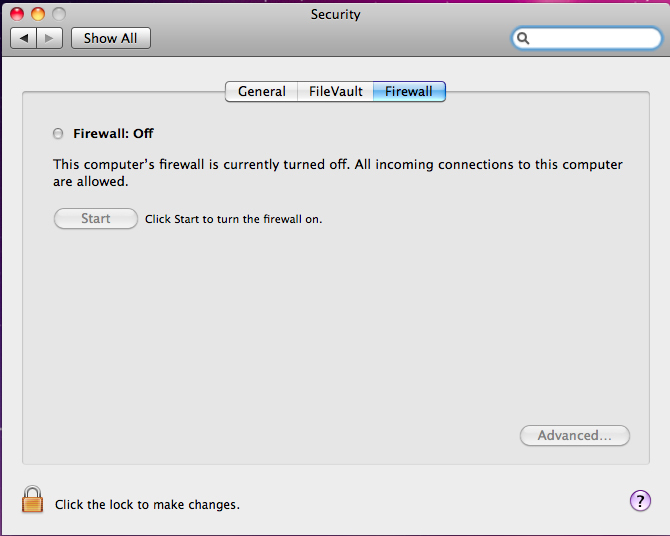 If you receive the "request timed out" message, check your firewall settings. Step 2: Click on the Connect Universes tab. 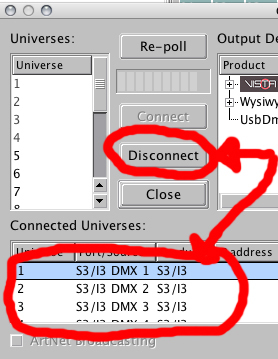 Step 3: In the dialog box that opens up, you need to first disconnect any connected universes. To do so, select each Connected Universe one at a time, and click the Disconnect button. Do this for all Connected Universes listed. Step 4: After doing so, check in the lower left corner of this box to see if the ArtNet Broadcasting is greyed out. If this box is greyed out, continue to Step 5. If the box is NOT greyed out, go directly to Step 8. 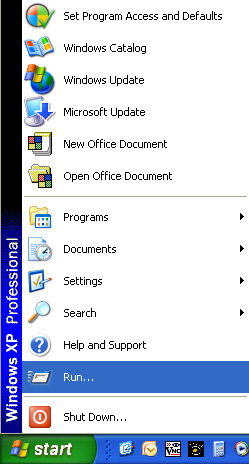 Step 5: Click on the Vista button in the lower left corner of the offline editer. 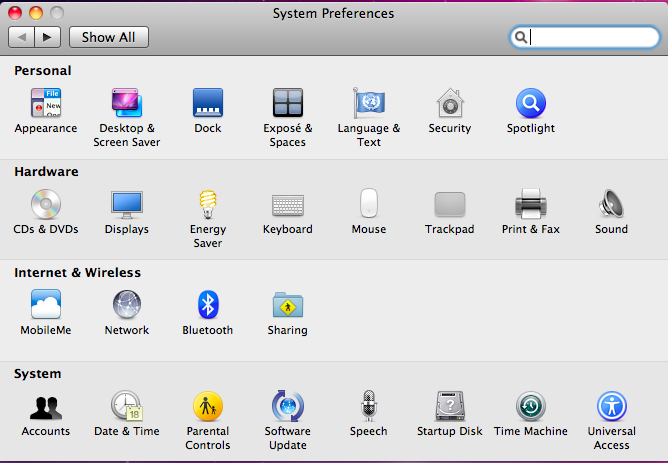 Select User Preferences. 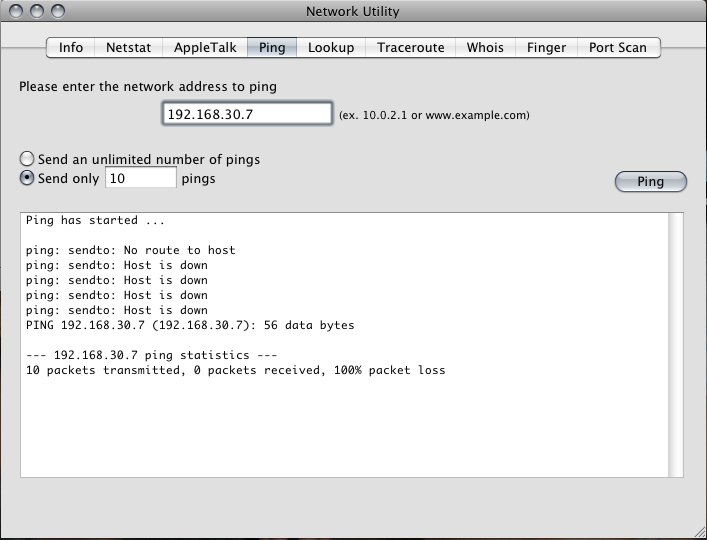 Step 7: Go back to the Connect Universes dialog box. Now, you should be able to patch your show (or load an existing show), and you should be good to go. 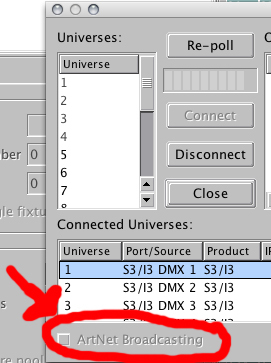 If you are running Vision 2.3 PC, be sure to select Artnet as your DMX provider. At the moment, Artnet is the only DMX Provider for Vision 3 MAC, so you don't have to select anything.